Photo Provided Wheeling native John Corbett, right, plays the lead role in a new feature film, “All Saints,” opening nationwide on Friday. 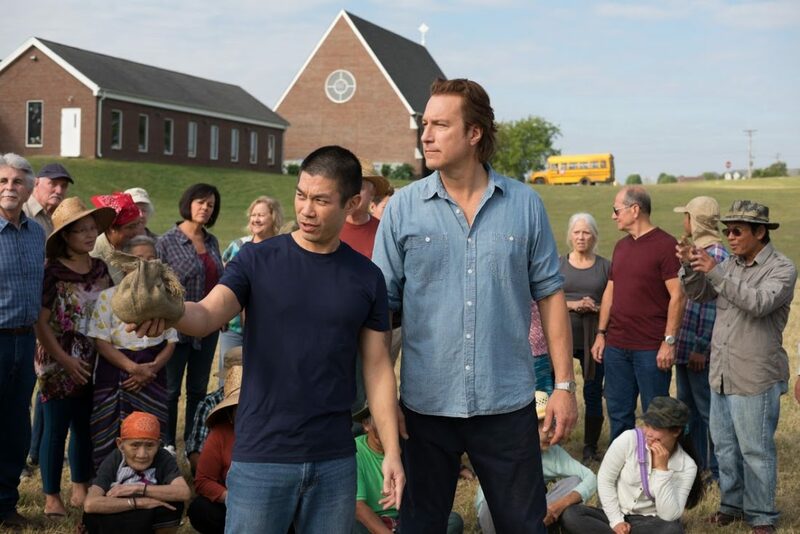 In this movie based on a real-life story, he portrays an Episcopal priest who allowed refugees from Myanmar to farm the land of a Tennessee church that had only a dozen members. Wheeling native John Corbett has intervened to ensure his new film, “All Saints,” opens in his hometown Friday, and he urged area fans to attend a screening this weekend. “All Saints,” based on a true story, is set to open in 1,000 theaters nationwide on Friday. That number has grown to include Marquee Cinemas at The Highlands, thanks to the actor’s plea to Sony Pictures, distributor of the movie. Corbett portrays the Rev. Michael Spurlock, a former salesman who went to seminary and became an Episcopal priest. Spurlock’s first assignment after ordination was to close the tiny, struggling All Saints Episcopal Church in Smyrna, Tenn. Those plans were altered when a group of Karen refugees from Myanmar arrived at the church. Corbett came to the film project by an unusual route. His longtime accountant asked him to read a script written by another longtime client. The actor agreed reluctantly, but became intrigued by the possibilities. The priest goes against conventional wisdom and accepts the people. While walking in the fields one day, “he’s thinking how to please all these people, and God speaks to him,” Corbett said. After leaving All Saints, Spurlock joined the staff of St. Thomas Church in New York City, where he now serves as associate for pastoral care. Corbett got to spend more time with Spurlock at a screening for the church congregation in Smyrna three weeks ago.